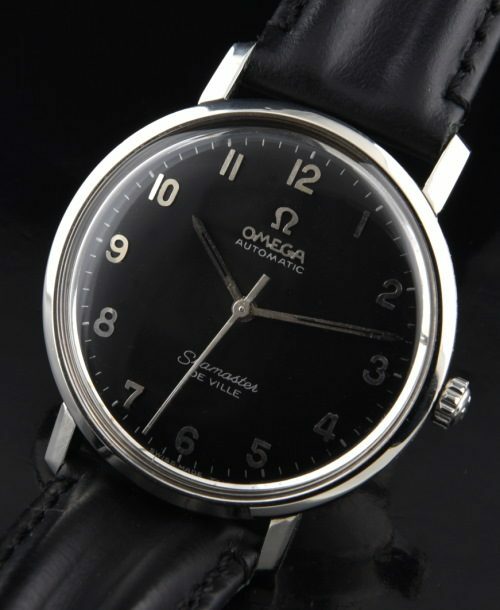 This 1964 OMEGA SEAMASTER De Ville in stainless steel measuring 34.5mm. with correct OMEGA winding crown is a stunner! 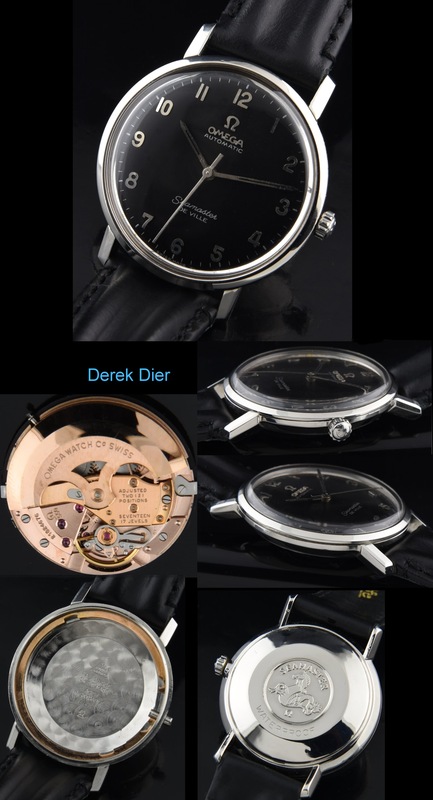 The black dial was expertly restored while retaining the original raised steel Arabic numerals and original raised OMEGA steel insignia-spectacular. The sleek case gleams with the the raised Seamonster logo on the case back. The automatic winding caliber 550 movement glistens and is accurate after a recent, meticulous cleaning. Condition is EVERYTHING and this fine OMEGA exemplifies the definition of “clean”. Just $1250.